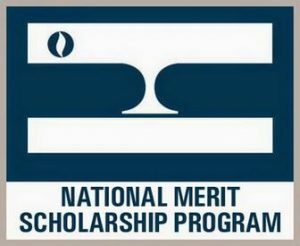 Of the 1.6 million students who take the PSAT each year, fewer than 1% qualify as NMSC Semifinalists. Of those, less than half are awarded scholarships. On a percentage basis, it’s more competitive than the most selective university! Huge congrats to Naked Essay student Joy W.! When I first made the transition from middle school to high school, I was terrified. What if my friends had all moved away during the summer? What if my teachers were mean? What if I got lost in the big building? Most of all, I dreaded fourth period: honors chemistry. My middle school teachers warned me not to take chemistry as a freshman, but I didn’t listen. I was ready for a challenge. I wanted to learn as much as possible in my four years of high school, so I planned it all out. And it started with chemistry. On my first day of high school, I made my way through the halls, practically running for fear of being late (but of course, I wasn’t). I had heard horror stories about Mr. Dodd, the chemistry teacher. As soon as the bell rang, he began to explain how he structured the class. We were not allowed to miss a day of class for any reason, and he had zero tolerance for misbehavior. By the time he finished speaking, I was petrified. This was an entirely different environment. But even though the teacher and the workload were intimidating, I began to love the subject. It was amazing how two solids combined to form a gas and another solid. It was mind-blowing that an acid and a base could react to form the universal solvent, water. The concept of weight vs. mass is fascinating too. Why is weight affected by gravity but mass isn’t? The people who came up with these ideas are beyond amazing! I loved learning about the periodic table and the elements, and to this day, I can still remember the atomic masses of most of the common elements. In the end, Mr. Dodd turned out to be one of the best teachers I’ve ever had. He was extremely organized and explained things very explicitly so that everything made perfect sense. Although he demanded excellence, Mr. Dodd spent untold time and effort to ensure the success of his students. I began to look forward to fourth-period chemistry. Mr. Dodd retired that year, so I wouldn’t have been able to be his student if I had waited another year, and he was a large factor in me taking AP Chemistry my sophomore year. One of his colleagues, Mrs. Derenburger, came out of retirement for a year to teach us. AP only solidified my love for chemistry and I began to seriously consider a career in chemistry. It was something I could see myself doing for the rest of my life—I really loved it. This past summer, I started doing research with a professor, Dr. Xiaoping Sun, at the University of Charleston. I have reduced uranium (VI) to uranium (IV) and created SOCl2, an organic solid, under his guidance. I also plan on researching the production of cosmetics with him. Doing work in a professional laboratory is awe-inspiring and there are so many exciting chemistry processes and techniques that I have yet to learn. Before I took chemistry with Mr. Dodd, I thought the only way to study chemistry would be through majoring in chemistry in college, but he opened my eyes to endless possibilities. I can combine two of my interests, economics and science, by majoring in economics with a concentration in environmental policy or healthcare. I could also pursue pathology and be able to continue studying chemistry through conducting research and working to find cures for diseases. And there are still countless other pathways I could take that involve chemistry. More than any other subject, chemistry has helped me grow as a person by allowing me to see the impact that I can have on others. I wouldn’t be who I am today without my love of chemistry, and I’m really glad that I was not late that first day of class with Mr. Dodd!